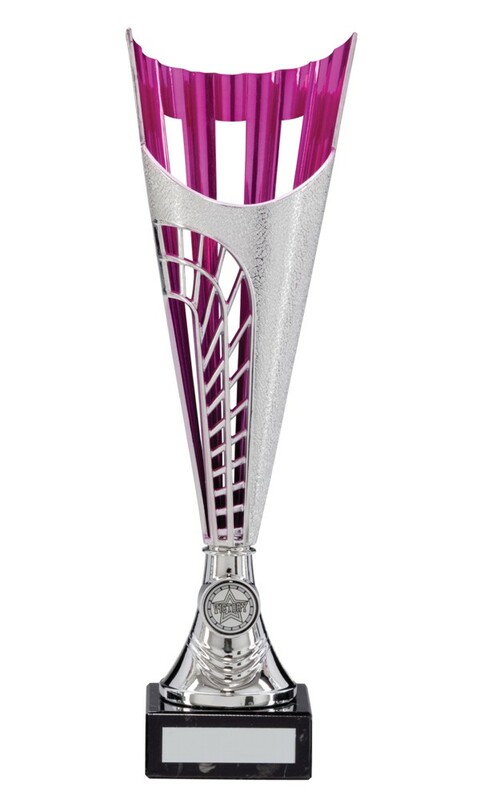 Large Modern Silver and Pink Garrison Series Cup. Available in 5 sizes, 305mm, 315mm, 325mm, 330mm and 350mm high. Silver and Pink plastic cup on a heavy black marble base.